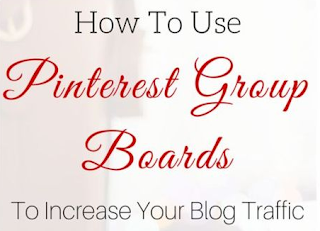 Increase blog readers immediately using Pinterest group boards. I recently started training a few women entrepreneurs in Bangalore about using Pinterest to make their brand seen and aim for followers first and then explore the ways to increase the sales. Most of my trainees are not even aware of Pinterest as a visual social media and it is the best place to market anything globally. I completed already 9 sessions of training yesterday. The last session excited them as I showed them how Pinterest group boards help an entrepreneur/blogger. Image is linked to the source. A Pinterest group board is more like a blog party. The creator of a group board would invite other Pinners to share their blog post in his board laying a few conditions like sharing/saving/liking the posts of other board members. As my trainees are craft makers I showed them a few Pinterest boards that focus on DYI ( Do It Yourself) crafts. Similarly, group boards may invite shares/posts of specific niches like recipes, blogging, Internet marketing etc. Though there are group boards with no condition at all (it means a board member can just share any number of posts without reciprocating), I like the idea of sharing and caring. Else, it will be a huge SPAM Yard of blog posts. In addition, by going through the PINs of other members, you derive a lot of ideas for your own business. I did some research before coming up with 5 different Pinterest group boards that can serve the purpose of my trainees and allowed them to send a request to join the group boards. I am sure their PINS will soon be exposed to more new targeted pinners across the various parts of the world. Here is a Pinterest group board by Suzie. Here is how you can join the board. Find a directory of Pinterest group boards here; where you can also enlist your group board free of cost.